All the Money in the World centers around the kidnapping of John Paul Getty III (Charlie Plummer) and his mother’s fight to get him back. The kidnappers have demanded a ransom of 17 million dollars because J. Paul Getty (Christopher Plummer) is the richest man in the world and happens to be John Paul Getty III’s grandfather. The movie details the tense relationship between Gail Harris (Michelle Williams) and J. Paul Getty as she desperately tries to convince him to pay the ransom. Due to the controversy surrounding the allegations around Kevin Spacey, Director Ridley Scott made a last minute decision to recast the role with Christopher Plummer. It is amazing to think that Plummer signed on and completed his exceptional performance over the course of 10 days. After watching the film, Christopher Plummer not only deserves every award coming his way but should have been the original choice for the film. J. Paul Getty is a complex character after accumulating most of his wealth from oil but also due to his less than human demeanor as a heartless businessman that cares little about family. The story alone is captivating, but the performances given in this film takes it to another level. Michelle Williams does a great job portraying the determined mother who is ready to take on the Getty family to save her son. While her performance is strong, I am not sure if it is strong enough to carry her through this upcoming awards season. Another solid performance would have to be Romain Duris who plays one of the kidnappers that develops sympathy for his victim. Mark Wahlberg and Charlie Plummer round out this perfect ensemble with solid performances as well. 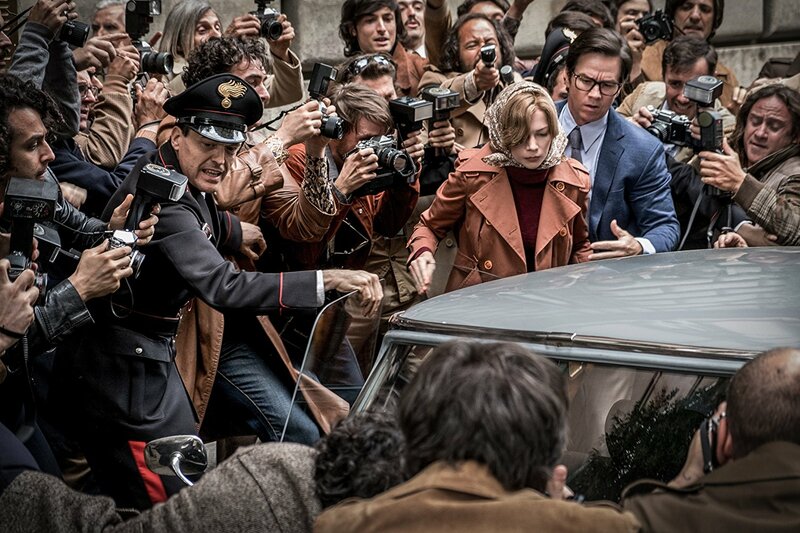 All the Money in the World is another compelling story with a strong cast to help the movie industry finish strong for 2017. This movie will keep you entertained from beginning to end. With most of the biopics being strong contenders in this upcoming awards season, I would like to see if this challenges studio heads to find more compelling stories to bring to the big screen. I would recommend you PAY to see this movie in theaters. All the Money in the World hits theaters on Christmas Day. Purchase your tickets now at Fandango, so you don’t get sold out. Have you seen All the Money in the World? Share your thoughts on the movie in the comment section below! Good movie. I agree Christopher Plummer did a great job. But, I would still would have loved to see Kevin Spacey play that role. Good movie, very long and I love Wahlberg. I LOVED the movie. I saw a perspective on life, love and money that put me in a wow state. Was wondering if I should see this one. Thanks for the review! Good movie!! Awesome review…very on point! Very interesting! I’m sold! I wanna see this!